Star Academies held its inaugural Star Pupil Council meeting with representatives of each of its secondary schools on Tuesday 5 February. 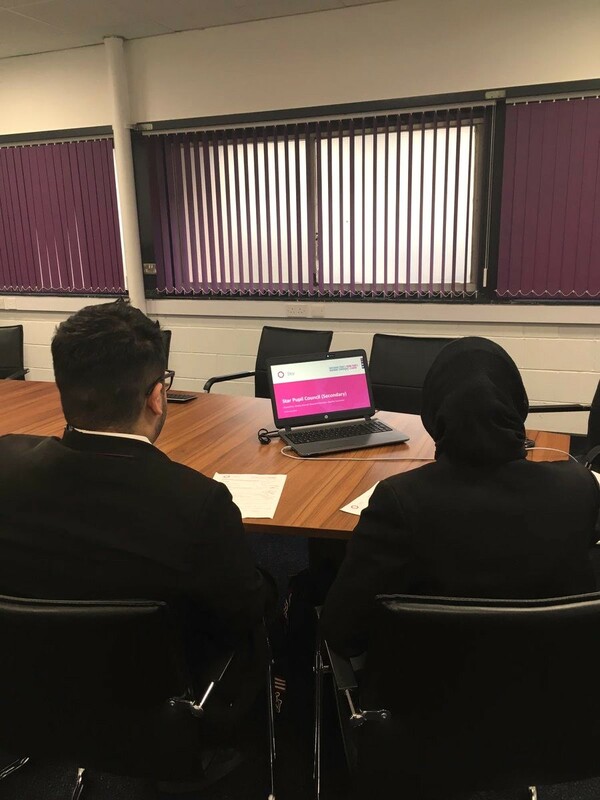 The Star Pupil Council is a new forum for pupils in all of Star’s schools to share their views and give feedback to the multi-academy trust’s senior leadership team. With separate Councils for primary and secondary pupils, each will be consulted on a wide range of subjects from the curriculum and behaviour to careers advice and uniforms, as well as having the opportunity to discuss topics of current importance in their schools. Star Academies is a mixed multi-academy trust, which operates 16 secondary schools and 8 primary schools nationwide. Giving its pupils a direct line of communication with Star Academies’ leadership team is part of the Trust’s commitment to ensuring that pupil voice remains at the heart of decision making and shapes the pupil experience. Each Star school has elected two representatives to the Pupil Council, which will meet termly. The first Star Pupil Council meeting for primary schools will take place later this month. The nominated pupils represent the views of the pupils at their school and will consult their fellow pupils, and report back on the outcomes of the meetings. They will also act as ambassadors for the Trust within their school, local community and at external civic, community or business events. The first meeting, was chaired by Star’s Executive Director of Quality Assurance, Shirley Gornall. During the first meeting, each pupil was asked to share the best thing about their school and to name one thing they would like to change. Pupils were also given the opportunity to put their questions to Star Academies, and asked about a range of subjects including uniforms, sports provision and work experience initiatives. “We value feedback from our pupils and are committed to providing opportunities for them to express their voice. The insight from forums such as the Star Pupil Council is invaluable to our leadership team and is used to shape, improve and influence the Trust’s direction and to bring about positive change at our schools.